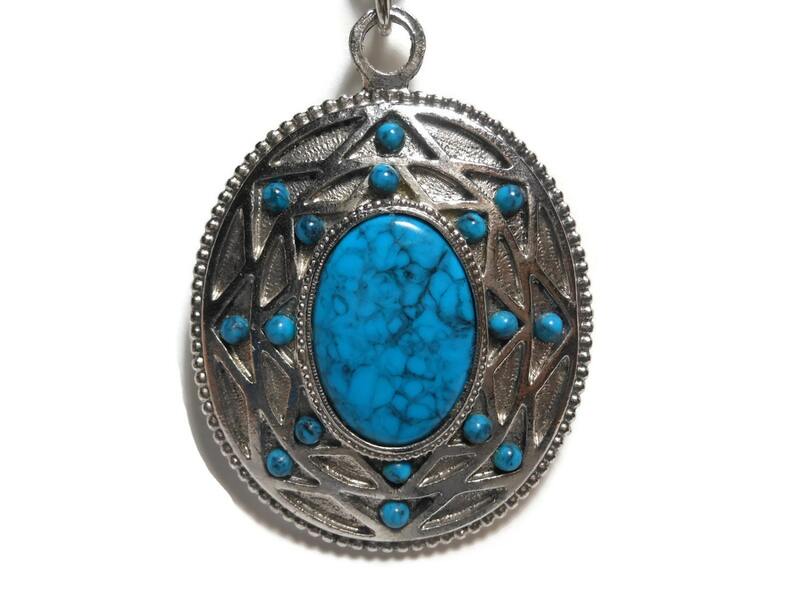 Whiting and Davis pendant necklace faux turquoise cabochon in silver southwestern design setting with link chain. 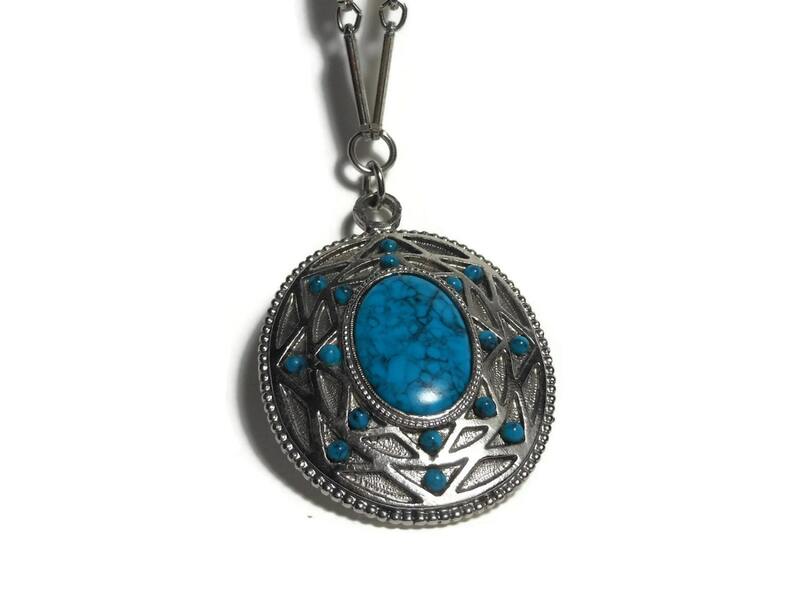 Whiting and Davis pendant necklace faux turquoise cabochon in silver southwestern design setting with link chain. 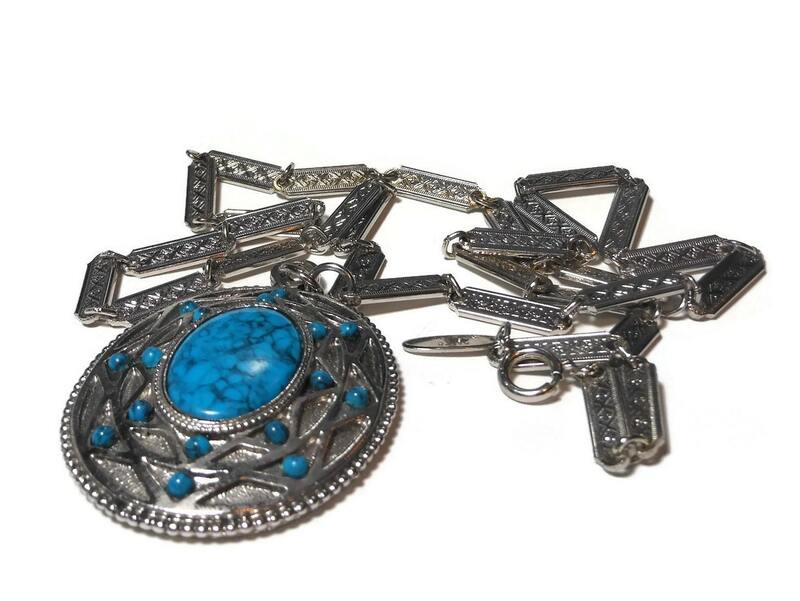 This is a great piece for anyone who likes the southwestern style, turquoise, or a Whiting and Davis collector. 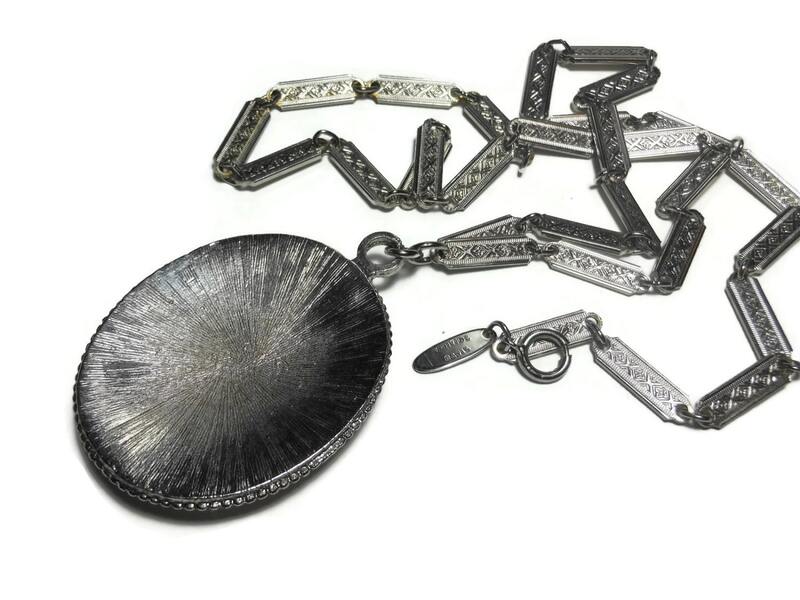 Known originally for their mesh handbags, Whiting and Davis branched out into jewelry in the 20th century. Whiting and Davis stopped making non mesh jewelry in the 1980s. 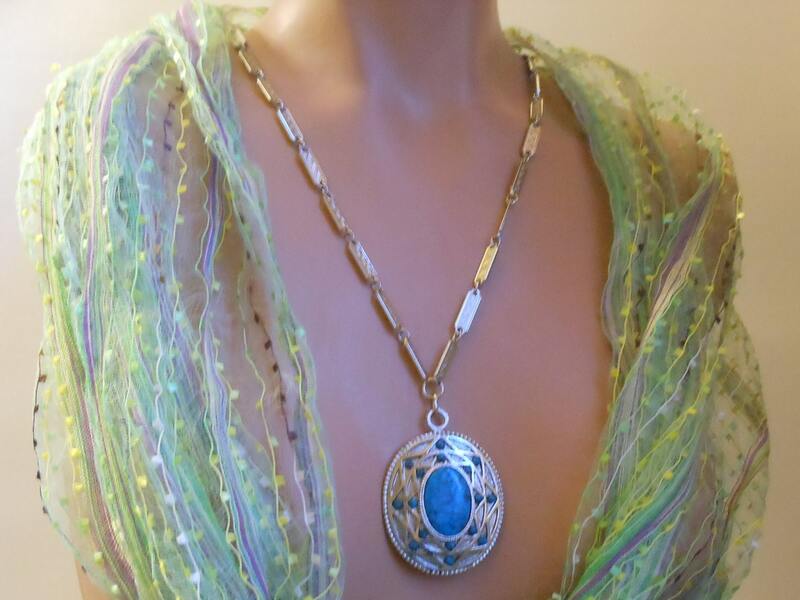 Chain measures 25 inches long, pendant measures 2 1/4" (5.7 cm), including permanently attached bail, by 1 3/4" (4.4 cm) and is in very good vintage condition. The pendant can be removed from the chain with pliers if desired to wear with another chain or necklace.